Buzz over the return of the genre started brewing in summer 2018 when a string of Netflix rom-com originals hit the streaming service. People were watching and talking about films such as Set It Up and To All The Boys I Loved Before, and praising them for their fun and genuine takes on the genre. The streaming giant’s accessibility had these rom-coms going viral at a time when the genre hadn’t been adored by the mainstream in a while. One reason the rom-com became irrelevant in recent years was because how overdone it started to feel. The same actors, writers and filmmakers kept cranking out entries for the genre, and after a while they tired the same storylines. What defines this new resurgence is how fresh and inclusive it feels. While audiences may be seeing some of the same clichés and tropes of the genre in these new films, they’ve never been told in the mainstream from these perspectives before, so moviegoers are more energized to check them out. Hollywood is selling a different kind of rom-com and the trend has kept moving forward. Since the industry is aware more then ever that audiences demand more from the stories being presented, they seem to be made with more thoughtfulness and relevance. What Men Want is an interesting example because it actually borrows from the premise of the early 2000s romantic comedy What Women Want, starring Mel Gibson and Helen Hunt. It flips the dialogue by making it a woman who hears thoughts of men instead of the other way around. It also attempts to act as commentary for the struggles of women in male-dominated industries. 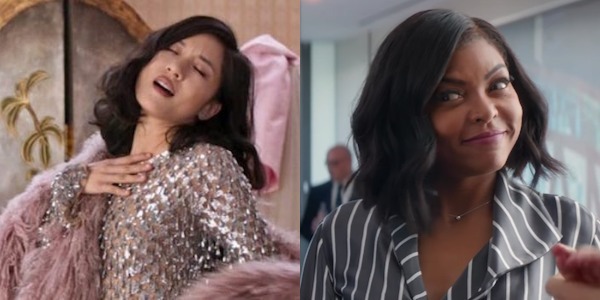 Both ideas have been used before in rom-coms, literally in another movie of similar title and since women in this genre are constantly faced with some sort of work-related struggle. It feels different because a black woman’s perspective is in the mix, it’s generally more aware of itself and there’s new blood taking hold.